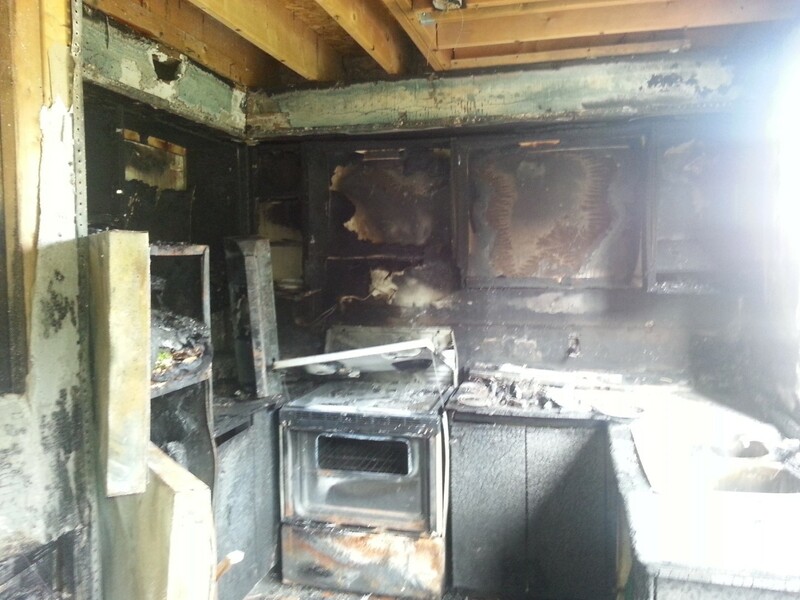 The dangers of unattended stoves and how defective wiring can also cause serious fires. 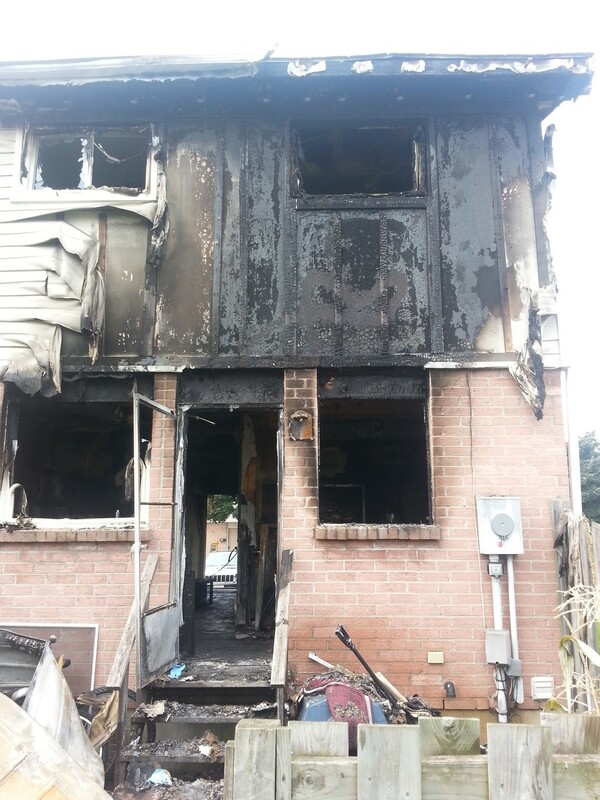 The after effects of a serious house fire following a stove fire. The hydro meter has been pulled from its meter base by the fire crew and/or London Hydro for safety purposes. Extensive the main floor fire-damage was. What is not shown is the widespread smoke and water damage that occurred on all three levels. PTN Electrical are usually called out once the fire services have conducted their investigations to reconnect the electrical service for temporary power and lighting in preparation for the restoration crew. Upon arrival it was apparent that the property would need to be totally gutted and restored, inside and out. Our first job was to restore the power to the property with temporary lighting and receptacles ready for the restoration crew. Unfortunately, the panel board was beyond repair and needed to be replaced with new, as well as all existing branch circuits. A new panel board was installed and the new temporary branch circuits were connected and inspected by the ESA. Following approval of our aggressive quotation by the insurance company, PTN Electrical fully rewired the whole structure during the process of the restoration to the current Ontario Electrical Safety Codes. The home has now been restored with lots of upgrades, however, this case study also highlights the importance of having working smoke alarms on every level of a home.